The rollout of Shu-ilishu's Cylinder seal. Courtesy of the Department des Antiquites Orientales, Musee du Louvre, Paris. 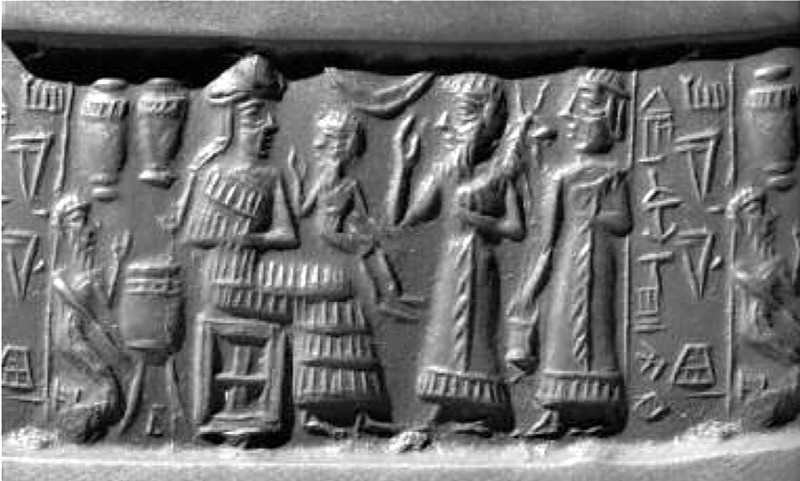 A Mesopotamian cylinder seal referring to the personal translator of the ancient Indus or Meluhan language, Shu-ilishu, who lived around 2020 BCE during the late Akkadian period. The late Dr. Gregory L. Possehl, a leading Indus scholar, tells the story of getting a fresh rollout of the seal during its visit to the Ancient Cities Exhibition at the Metropolitan Museum of Art in New York in 2004. With thanks to the University of Pennsylvania Museum which originally published the article.